I saw my first Ishiro Honda feature somewhere around 1970. I didn’t know anything about him at the time, so had no context in which to place the movie. I was in my mid-teens and a sci-fi and fantasy fan, so was pretty much willing and eager to see and enjoy any genre movie that came along. I even paid money to see Robert Gaffney’s Frankenstein Meets the Space Monster in a re-release double-bill in the late ’60s (it was showing with Steve Sekely’s flawed but enjoyable Day of the Triffids), so Honda’s movie seemed at the time quite impressive, though decidedly wacky. Latitude Zero (1969) was a U.S-Japan co-production with a multinational cast headed by Cesar Romero and an obviously slumming Joseph Cotten, mixing elements from numerous other movies (most notably 20,000 Leagues Under the Sea) in its story of an underwater city, a super-submarine and some giant monsters – culminating in a surgically created flying lion … or something. In the next couple of decades, I saw more of Honda’s work, all on television, and got a taste for the Japanese kaiju genre. I loved the elaborate monster suits, the huge miniature sets, the ritual of destruction. And, like many people, I was taken by surprise when I finally got to see the original version of Gojira – a friend somehow got hold of a bootleg VHS tape in the early ’90s – and discovered not a campy romp, but rather a grimly serious fantasy rooted in the trauma of Japan’s experience of the atom bomb (which had been dropped just nine years before production). I have about twenty of Honda’s movies on disk and so felt I had a pretty good idea of who he was as a filmmaker. Trapped as he was in the monster genre by his studio, Toho, there’s a lot of repetition in these movies in terms of action and theme, but I always enjoyed the spectacle even if the stories grew thin. In time, I discovered variations in his work and eventually the films I liked and admired most were not the more prominent monster epics. 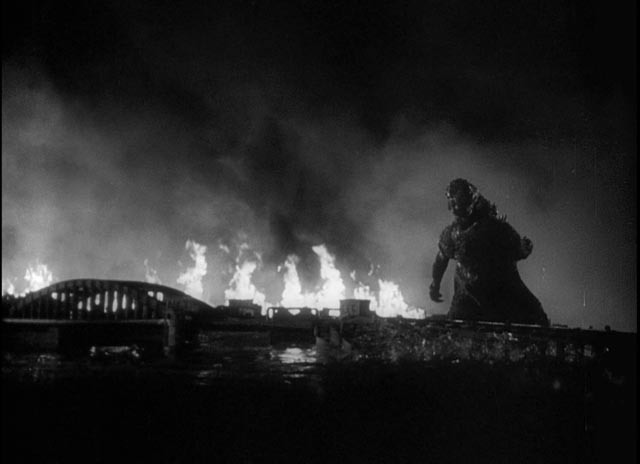 Yes, Gojira/Godzilla remains a key movie, though my favourite kaiju is actually the more poetic Mothra, but there are several smaller, darker movies that seem more substantial to me – particularly The Human Vapor (1960), which blends noir, tragic romance, and science-gone-bad, and Matango (1963), a pessimistic and moody adaptation of William Hope Hodgson’s short story “A Voice in the Night”, in which the passengers and crew of a yacht are shipwrecked on an island where they gradually succumb to a mutating infection when they eat the only available food, a form of fungus. So, I know Honda as a genre filmmaker who knew how to make the most of his studio’s resources. Which, it turns out, is actually just one facet of his career. I’ve just finished reading Steve Ryfle and Ed Godziszewski’s Ishiro Honda: A Life in Film, From Godzilla to Kurosawa (Wesleyan University Press, 2017), the first serious book about Honda in English. The portrait they paint is fascinating – admirable, yet tinged with a degree of sadness. Honda, the son of a Buddhist monk, born in a remote village, knew that he wanted to make movies from a fairly young age and entered into an apprenticeship alongside Akira Kurosawa under director Kajiro Yamamoto, but his nascent career was interrupted when he was inducted into the Imperial Army in 1935. He would spend much of the next ten years in the military, mostly in China, returning to his apprenticeship after the war. By then he was far behind his former companions – Kurosawa, who had escaped being drafted, had already directed several features. Honda became an experienced assistant director over the next few years (the traditional route in the Japanese industry to becoming a director) and finally got his chance in 1949 with an assignment to direct a documentary about a famous shrine. Perhaps the most important thing about this film was that Honda developed an underwater camera rig, the first ever used in Japan, to shoot women pearl divers at work. Honda’s interest in pushing the limits of cinematography would become invaluable when he eventually teamed up with legendary effects technician Eiji Tsuburaya to invent the kaiju genre. What I found most revelatory about the book was the authors’ account of Honda’s non-genre work. He made six features before Gojira, including contemporary stories shot on location in remote areas, in which he explored the social tensions between the generations in the wake of militarism and the war. Some of these films sound as if they have a touch of neo-realism, not to mention a mix of drama and comedy. From their descriptions, it seems that Honda, a quiet, unassuming man, might have followed a very different path if he had never made Gojira, along the lines of Naruse and Ozu in probing the lives of ordinary people navigating the social and economic strains of Japan’s shift towards modernity. The second big surprise revealed by the book was Honda’s relationship with Kurosawa. From the days of their apprenticeship together, they remained the closest of friends – the great cinematic artist feted in the West and the lowly maker of rubber-suited monster movies. 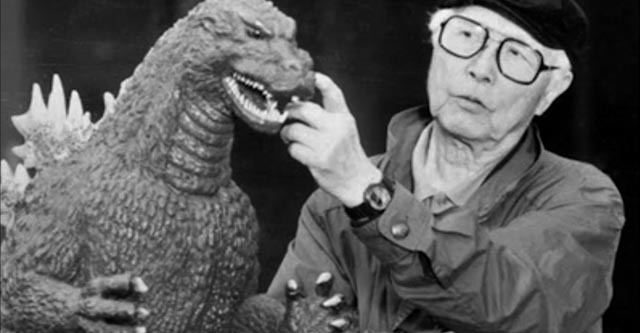 When Honda’s own directing career ended with Terror of Mechagodzilla in 1975, and his efforts to put together further productions came to nothing, Kurosawa – who was also struggling, having made only three films in fifteen years – asked his friend to team up with him on a new project. Apparently lacking the kind of ego so often associated with directors, Honda enthusiastically became Kurosawa’s collaborator, in all but name eventually co-directing the more famous filmmaker’s last five films – Kagemusha (1980), Ran (1985), Dreams (1990), Rhapsody in August (1991), Maadadayo (1993). Ironically, this final fertile period in both directors’ lives was facilitated more by support from American admirers (notably, Coppola, Lucas, Scorsese and Spielberg) than Japanese backers. The book evokes a talented, creative artist who was perhaps too humble and self-effacing for his own good, unwilling to assert his own interests strongly against the demands of a studio to which he felt he owed complete loyalty, even as it increasingly short-changed him. Toho’s bean-counters relentlessly tightened budgets while insisting that Honda craft his movies more towards a kiddie audience, turning his imposing creation, Godzilla, into something of a travesty. Yet towards the end, he was happy, and energized, by the opportunity to contribute creatively to those final Kurosawa features. As I finished the book, I wished that Criterion would get to work on an Eclipse set of his non-genre work so I could get a chance to see this entirely unknown side of a filmmaker who has been a favourite for decades. This entry was posted in Commentary, Review and tagged Directors, Fantasy, Film Criticism, Film History, Japanese Film, Science Fiction. Bookmark the permalink. Sounds like I would like this book. I put it on my Amazon wish list. It made me want to re-watch his movies, even the later, weaker ones … just have to find the time! I’m about half way through the book now. Very enjoyable and interesting. I too wish for copies of some of the non monster movies. Maybe someday. Time to start a petition for a Criterion Eclipse set!